When in LA, I find it worth visiting ground zero of modern aerospace, in Pasadena, birthplace of John Whiteside Parsons and home to Caltech and Jet Propulsion Laboratory. 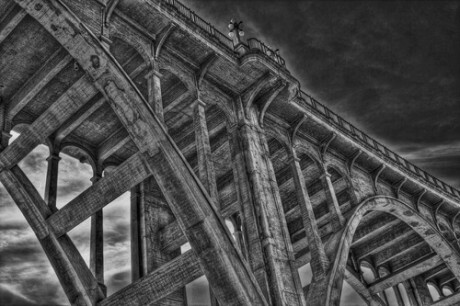 When he was a child Parsons often visited the nearby bridge on Colorado Blvd with its amazing Beaux-Arts arches, the “suicide bridge.” The bridge invited dozens to take their own lives. Many spoke of hearing and seeing ghosts in the area. At this young age Parsons was a fanatic reader of sci-fi and horror pulps, talking of interstellar travel as well as beasties from hell. The young Parsons also hung out at nearby Devil’s Gate, thought by native Americans to be the literal gate to hell. 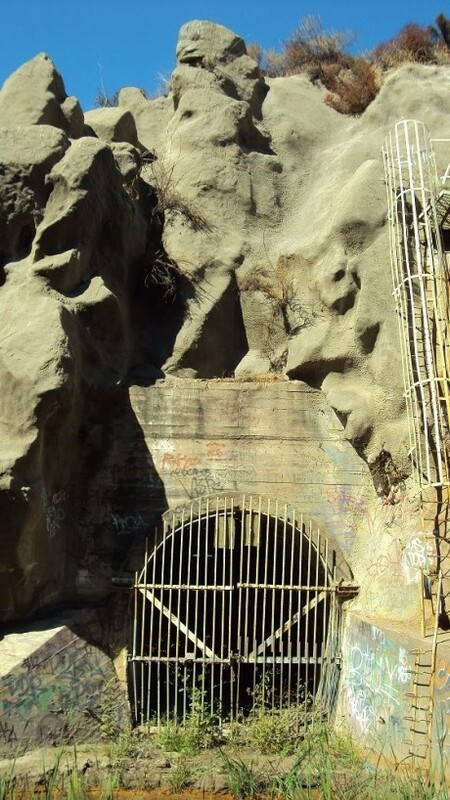 Strangely—or not so strangely—the Arroyo Seco area connected to Devil’s Gate was also the testing ground for Parsons and friend Ed Foreman’s rocket tests, which convinced scientists to invest in their work, finally resulting in creating a sold fuel that allowed rockets to burst free of the earth’s gravitational field. Before every test, Parsons invoked his mentor Aleister Crowley’s “Hymn to Pan” … did it help? And the word of madness and misery. Io Pan! Io Pan Pan! Io Pan!